PENDING BUT ACCEPTING BACK UP OFFERS. Welcome to beautiful Harbourside on Harbour Island! This stunning townhome has everything you are looking for: hardwood floors, crown molding, updated kitchen with quartz countertops and gorgeous backsplash, and an open area floor plan. Enter through the spacious fenced courtyard into the large first floor room. This space would make an excellent office or media room, with gleaming wood floors and French doors leading to the courtyard. Head up to the second floor and take in the large open area living space. The oversized living room will allow you to spread out and relax after a long day. The spacious kitchen includes both a breakfast bar and a separate dining area. The updated top end appliances include a modern induction cooktop and a convection oven. Beautiful natural lighting and a guest bath make this the perfect space to entertain family and friends. The third floor offers a spacious owners retreat with vaulted ceilings, wood floors and an en suite bath. There are also two more bedrooms and a full bath. 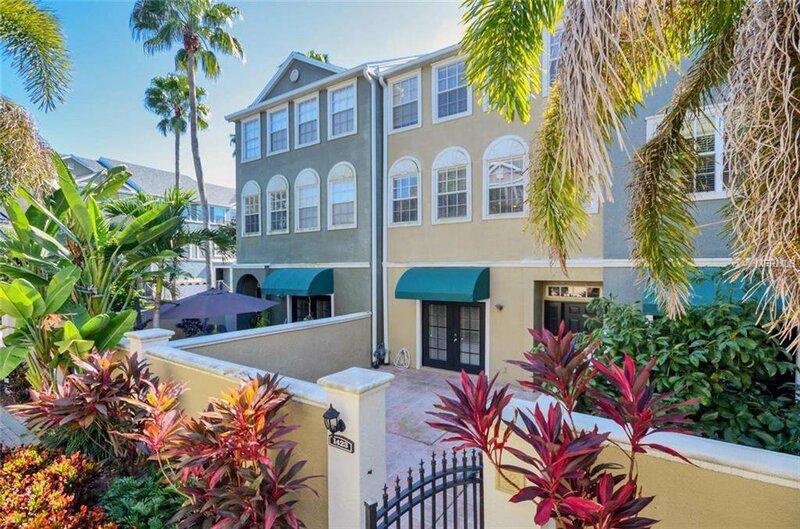 The gated Harbour Island community has plenty of walking paths, beautiful views, easy access to downtown and the Riverwalk, and water access to throw your paddle board in the river! This home has been well kept by its original owner and won't last long. Make your appointment to see it today! Listing courtesy of KELLER WILLIAMS SOUTH TAMPA. Selling Office: KELLER WILLIAMS REALTY.